Meizu Note 9 Full Specs Appeared on TENAA Ahead of Launch - Playfuldroid! A new Meizu phone with M923Q model number has appeared on TENAA with full specifications. Recent reports suggest that it could be the upcoming the Meizu Note 9 smartphone. 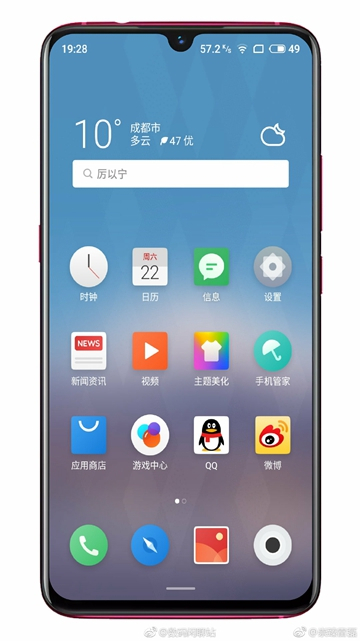 According to TENAA listing, the Meizu M923Q phone measures 153.11 x 74.34 x 8.65mm and weighs 169.7 grams. It could be available in Dark Ochre, Silver Ochre and Starry Blue colors in China. The smartphone has a 6.2-inch screen that offers full HD+ resolution of 1080 x 2244 pixels. The alleged Meizu Note 9 has a big battery with 3900mAH capacity. It will be powered by an octa-core processor that clocks at 2.0GHz. According to rumours, it could be the Snapdragon 675 SoC. The handset will be available in 6GB RAM only. The upcoming mid-range phone from Meizu will have 64GB of internal storage. The TENAA listing reveals that it does not include a microSD card slot. It will run on Android 9 Pie OS. The rumored Note 9 features dual camera setup on its back. It will include a 48-megapixel primary sensor and a 5-megapixel secondary lens. On the front, it has a 20-megapixel lens for shooting selfies. The leaked renders of the Meizu Note 9 that had surfaced earlier this month that it will be arriving with waterdrop-style notched display. It could be the first Meizu phone to feature it. Recent leaks have revealed that the handset will have a side-mounted fingerprint scanner. It is speculated that the Meizu Note 9 will be releasing in China with the price tag of 999 Yuan ($148). Meizu has not confirmed the launch date of the Note 9. It may get announced later this month. The Meizu Note 9 will be arriving as a successor of the Meizu Note 8 phone that was unveiled last year in October. The handset features a 6-inch full HD+ display and it is powered by Snapdragon 632 mobile platform and 4 GB of RAM. Its other specs are 64 GB of native storage, 12-megapixel + 5-megapixel dual camera, 8-megapixel front camera and 3,600mAh battery with support for fast charging.